Dr. Susan Cutter is a Carolina Distinguished Professor of Geography at the University of South Carolina. She is also the Director of the Hazards & Vulnerability Research Institute, a research and training center that integrates geographical information science with hazards analysis and management. Dr. Cutter has been working in the risk and hazards fields for more than twenty-five years and is a nationally recognized scholar in this field. She has authored or edited thirteen books and more than 100 peer-reviewed publications. Among her books are The Geographical Dimensions of Terrorism, American Hazardscapes: The Regionalization of Hazards and Disasters, and the recent Hazards, Vulnerability, and Environmental Justice. Dr. Cutter serves on many national advisory boards and committees including those of the National Research Council, the the American Association for the Advancement of Science (AAAS), and the Heinz Center. 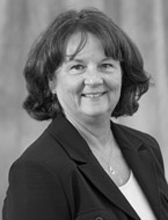 In 1999, Dr. Cutter was elected as a Fellow of AAAS, in 2000 she was elected President of the Association of American Geographers, and in 2007 she was elected President of the Consortium for Social Science Associations (COSSA). In 2006, Dr. Cutter received the Decade of Behavior Research Award given by a multidisciplinary consortium of more than 50 national and international scientific organizations in the social and behavioral sciences.